Minutes From Downtown, Phipps Plaza, Lenox Square, Ritz Carlton & Walking Distance To Restaurants, Shopping & Entertainment. MLS#6512588. Berkshire Hathaway Homeservices Georgia Properties. Villa At Buckhead - 2 Secured Covered Parking Spaces. Can Be Sold Fully Furnished. MLS#6512576. Keller Wms Re Atl Midtown. 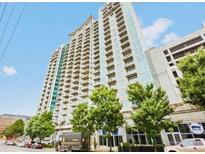 Eclipse Buckhead - Walking Distance To Restaurants And The New Luxury Buckhead Shopping Area. MLS#6511909. Coldwell Banker Residential Brokerage. Buckhead Collier Forest - Terrace Level Features A Private Bedroom, Updated Full Bath, And Rec Room That Opens To A Beautiful Terrace With Stunning Landscaping. MLS#8533401. Compass. The Oaks At Buckhead - Walk To Target, Publix, Lenox Mall, Marta Station And Phipps Plaza. MLS#6509318. Keller Williams North Atlanta. Eclipse Buckhead - Walk Out To Great Shopping And Restaurants! MLS#6509261. Re/Max Around Atlanta Realty. Buckhead Collier Forest - Living Room W/ Tokobashira Pillar, Master Suite & Meditation Room W/ Tatami Mat Floors, Floor To Ceiling Windows All Overlooking Multiple Koi Ponds & Waterfalls. Roofed Passages Connect Spaces. MLS#8530496. Atl.Fine Homes Sotheby'S Int..
Just The Right Size Home For Enjoyable Comfort. MLS#6508553. Smart Decision- Sharon Dover And Associates. Eclipse Buckhead - All Steps From High-End Luxury Retail And Destination Dining, Area Walking Score Is 93!Features Include An Open Kitchen W/ Brown Cabinets, Granite Countertops, Modern Backsplash, Modern Fixtures, Accent Lighting, Stainless Steel Appliances And Washer/Dry. MLS#6507847. Century 21 Results. Paramount At Buckhead - Ez Access To Ga 400 Thru Alliance Building With Puck. MLS#6506446. Re/Max Around Atlanta Realty. Paramount At Buckhead - Walk To Path400 Trail/ Park Over Ga400 Coming Soon. Don'T Miss! MLS#6506328. Century 21 Connect Realty. Eclipse Buckhead - All Just Steps To Buckhead Atl Retail Area With Exclusive High-End Luxury Retail And Destination Dining. Walkable Area Score Of 10 MLS#6504823. Engel & Volkers Atlanta. Eclipse Buckhead - Newly Remodeled Common Areas Including Amenities Including The Club Room, Fitness Center And Pool Area. MLS#6504900. Berkshire Hathaway Homeservices Georgia Properties. Buckhead Grand - 24-Hour Concierge, Sky Lounge Bar, Saltwater Pool, Gym, Spa, And Club Lounge/Pool Bar, Grilling Area And Guest Suite! MLS#6502751. Therealestateexperts.Com. 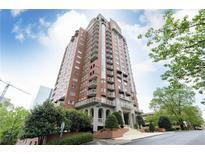 Meridian Buckhead - Experience The Best In Buckhead'S Lifestyle. MLS#6504129. Atlanta Fine Homes Sothebys International. Buckhead Grand - Each Bdr Has A Walk In Closet! Waiting For Your Finishing Touches MLS#6502067. Engel & Volkers Atlanta. Buckhead Village Lofts - 2 Parking Spaces & Move In Ready With A 24/7 Concierge, Fantastic Amenities And Seconds To Shopping And Restaurants! MLS#6501613. Ansley Atlanta Real Estate, Llc. Buckhead Grand - Luxury Amenities Include: 24 Hr Concierge, Doorman, Sky Lounge W/Bartender Service At Top Of Building, Guest Suite, Pool Bar In Summer, Spa On Main Level, Yoga Studio, Salt Water Pool, & Wine Cellar! ! MLS#6501733. 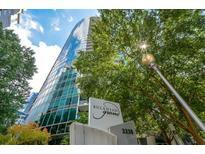 Keller Knapp, Inc..
Buckhead Collier Forest - 2 Bedroom'S On Main Great For Office Or Addtl. Living Space! MLS#8520314. Keller Williams Rlty Cityside. Meridian Buckhead - Fantastic Building With 24 Hour Concierge, Pool, Gym, Squash Court, Putting Green, Common Grill Area And Many Organized Community Events. MLS#6127747. Keller Williams North Atlanta. Eclipse Buckhead - All Just Minutes From The High-End Luxury Shops, Destination Dining, Local Parks/Recreation Centers Of The Prestigious Buckhead Area. MLS#6127102. Redfin Corporation. Buckhead Collier Forest - Minutes To The Best Buckhead Shopping And Restaurants. Excellent School District. MLS#8516367. Berkshire Hathaway Homeservices Georgia Properties. Buckhead Grand - Amenities Package:Sky Lounge W/Bartender,Guest Suite, Doorman/Porter,Mirrored Yoga Studio,Wine Cellar,Yoga Studio Pool,Pet Walk,Private Massage Room. Inclds Storage Unit. MLS#6124929. Berkshire Hathaway Homeservices Georgia Properties. Buckhead Grand - Buckhead Thriving As Path 400 Expands. MLS#6123671. Redefy Real Estate. Meridian Buckhead - This Will Be Your New Home, And Hurry Up To Check It Out! MLS#6120870. Realty Resources Atl, Inc..